Well it was quite a buzz to see the 10 minutes or so that we worked on at Animal Logic last year (2006)! I think the scene we did came up really well – some of the other scenes in 300 didn’t seem to have received as much post “love”. I liked the movie, at times I was thinking the fighting was starting to drag on a bit, but then there’d be some cool moment where one of the Spartans would deal some extra nasty death to one (or more) of the Persians and I’d be hooked again. The rest of the audience seemed to enjoy it too, some really got into it and were very satisfied when the bad guy cops it (I won’t explain – you have to see it). 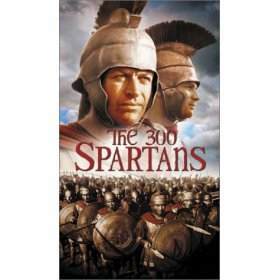 Apparently 300 is doing really well at the box office and made its money back within the first week or something? glad it was worth it!! Previous Previous post: Ang in Hong Kong!